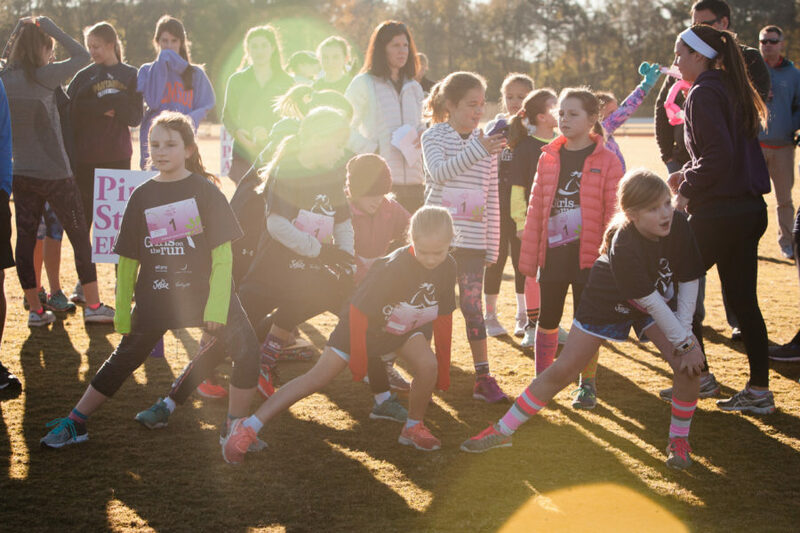 Please join the Girls on the Run of Spartanburg for the Celebration 5K on Saturday, April 20,2019 at USC Upstate. The Girls on the Run 5K is a one-of-a-kind way of illustrating how even the seemingly impossible can be possible. This spring, we invite our community to participate in this fun and inspiring event promoting active living. There are a number of ways that you can get involved in this event. Register as a Running Buddy! Partner with one of the program participants to help pace, motivate and encourage her through the course. And at the end, when the finish line comes into sight, you will never forget the look on her face as she crosses and realizes that, indeed, she can accomplish anything she sets her mind to do. Run your own 5K. This is a celebratory, non-competitive event themed: The Finish Line is Just the Beginning! Once you achieve the completion of the 5K, any goal you aspire to is possible. Whether this is your first 5K or your 50th, run alongside the Girls on the Run and be prepared to be as inspired by them as they are by you! If running is not your thing, come out to cheer and celebrate alongside girls and runners alike! Just being there will help support the runners and promote active living in Spartanburg. For more information or to register, please visit gotrspartanburg.org today! If you have questions about the event or how to get involved, please contact Mary Ann Cleland at maryann.cleland@girlsontherun.org. Event day registration will open at 7:30 a.m. and the run begins at 9:00 a.m.